Our main service is offering same day return trips to the beautiful islands of Kerama direct from Naha. Our same day return trips allow you to enjoy the bustling night life of Okinawa. You choose the plan that best suits you. You can choose to discover what Kerama has to offer with our full or half day tours. All you have to prepare for our tour is your swim wear and towel. We also require our guests have a curious and adventurous spirit. 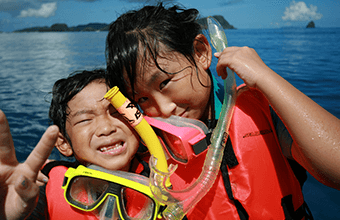 Children from the age of 8 years old can enjoy our experience diving tours in the Kerama Islands. Not only can your child create amazing memories but the whole family can create unforgettable memories together. 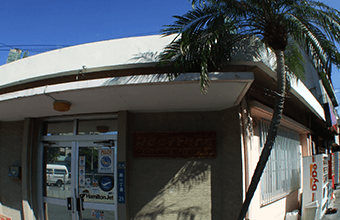 We are a safety focused shop that offers fun filled tours and have been fully approved by the Okinawa prefectural Public safety commission. Since opening 10 years ago we have had no accidents. Our professional staff always ensure you have a safe and memorable time in Kerama. Whilst enjoying your time in Kerama, you can successfully get your PADI C card license in 3 nights and 4 days. Reeffers will send study materials to your home. 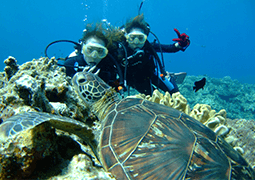 If you come prepared you can become a fantastic diver within two and a half days. 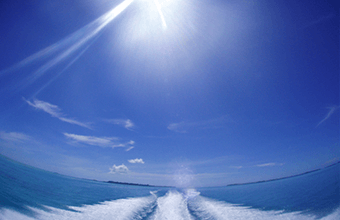 We offer very popular private boat charters and cruises. 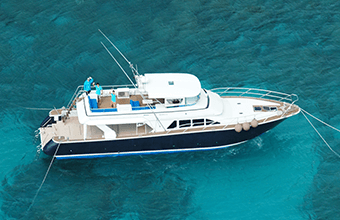 Spend time with your friends on your very own private charter. BBQ’s, fishing, diving anything is okay. 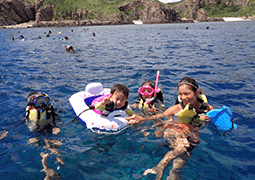 People of any age can join our snorkelling tours. If you can’t leave your child in nursery our staff on-board are there to help. You will ride on our company’s large high speed cruiser. 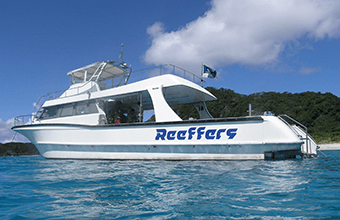 Spend a peaceful and relaxed time on-board our Reeffers boat. There is a high probability you will meet a hump back whale on our whale watching tour. There is no doubt you will leave feeling emotional after watching these animals in beautiful surroundings. 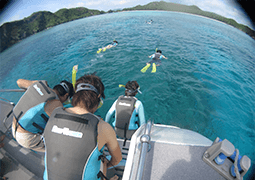 Departing from Naha you can visit the paradise islands of Kerama that have one of the best coral reefs in the world one of our same day return tours. 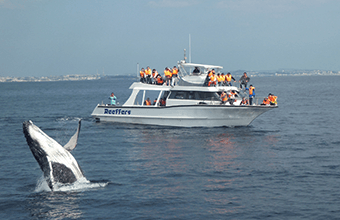 The Kerama Islands are located 40km west of Naha and takes about one hour on our cruiser “Reeffers”. There are around 20 islands that make up the Kerama archipelago. Some islands are deserted and some islands have a small population of people who live there. 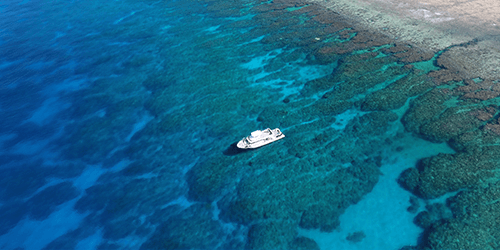 The Kerama Islands are a worldwide popular diving spot famous for its “Kerama blue” transparent water. 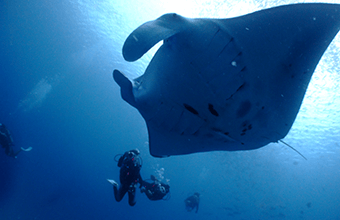 Amongst the countless diving spots are many kinds of sea creatures that live in the Kerama blue waters. The clear blue waters and white sands of Kerama can be enjoyed by not only diving but snorkelling, too. During the winter time when Humpback whales are migrating you can join our whale watching tours. You can enjoy the waters and scenery of Kerama all year around. Company Information / Message from the owner. 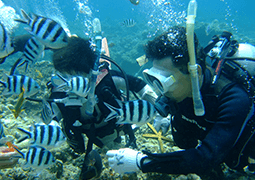 Diving license training and other diving related activities. 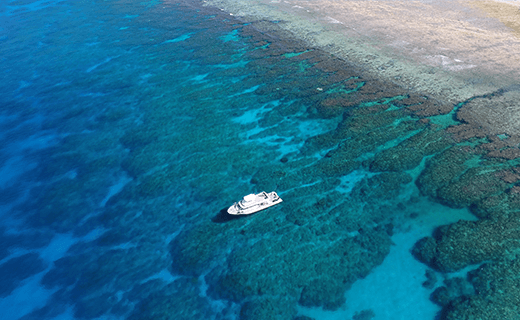 Kerama is one of the world’s most famous and leading reefs. With many kinds of rare and beautiful sea organisms calling it home. Our boat is not just a regular ferry but a diving cruiser we use for our tours from Naha. 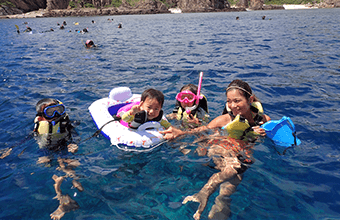 We are a company for not only divers but for snorkelers, children and all kinds of people. We want our customers to have the best experience in paradise. That is why we started our company “Reeffers”. There is a possibility that Miegusuku port is not listed on some maps. Please enter “Naha beachside hotel” into your car’s navigation system. The hotel is close to the port so please follow the road along to the parking ticket gate. Once you enter the gate please drive to the right side of the port to the waiting area where our staff will be waiting at reception. It is a white building. It is about 200 meters away from the parking gate. There is a charge of 500 yen per day for parking at the port. Please DO NOT park in the car spaces allocated with yellow lines in the port. These spaces are contracted for personnel. Please park in the spaces with white lines. Naha city will often have heavy traffic on weekdays and rainy days. Please take this in consideration and be on time to the port. If you get stuck in traffic, lost or have an accident please contact us. Our number is 098-862-3496. If you are worried about what time to leave please call us the day before and we can assist you.